Mr. Schwarzenegger decided to fire 5,000 state officials last week. The governor said that the spending on this category of citizens had to be cut. In addition, the Terminator decided to put up for auction a theme park, the San Quentin state prison and Los Angeles Memorial Coliseum stadium. Schwarzenegger also put forward an initiative to have a three-billion-dollar cut on education making the school year five days shorter. 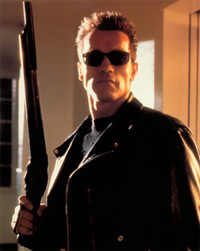 Many US newspapers wrote that Schwarzenegger had never been able to find a way out of the crisis during his governorship. The deficit of the state budget already makes up $15 billion and may soon reach $21.3 billion. Boris Pushkarev, a “Russian American” told Pravda.Ru that California had long been considered one of the most prosperous states of the USA. “Schwarzenegger’s goal was to make the average income of a Californian reach the level of $5,000 a month. However, the crisis changed the situation,” he said. Economists say that the income of many Californians dropped down to the level of 1938 during Schwarzenegger’s stay in the office. “Arnold’s governorship was supposed to be an action movie. Now it’s a disaster movie,” John Pitney, a political scientist at Claremont McKenna College, told the Christian Science Monitor. Local analysts used to say that Arnold Schwarzenegger could try to run for president. The only problem that he had was the place of his birth: Schwarzenegger was born in Austria in 1947. The people born outside the United States are not allowed to run for president. Schwarzenegger became the governor of California in 2003 and was reelected three years later. If Mr. Schwarzenegger had had better qualities of a politician, he would have had very good chances to find himself sitting at the desk in the Oval Office – rules would have been changed for him. Many said of course, that no one would ever let Strong Arnie take a higher position, although the example of Ronald Reagan, one of the most famous US presidents, proves the opposite. However, the present-day economic situation in California can make Schwarzenegger leave the world of big politics for good. This may happen already in 2011.